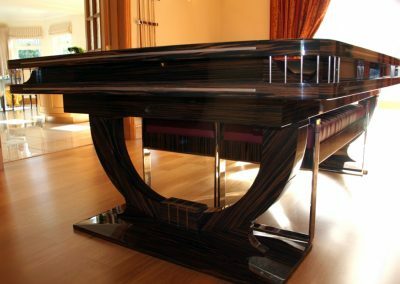 The Continental BR is one of our most stunning designs and is particularly impressive as a dual-purpose dining or board-room table for Snooker or Pool. 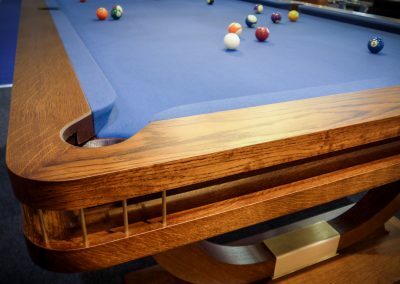 The design combines the detail and workmanship of our Ball Runner cushion surround with the elegance of our Continental leg design and incorporates our precision engineered winding mechanism to effortlessly raise the table to playing height and lower it for dining. We can also make chairs or benches to complement the table – or simply make the table match your own choice of chair. 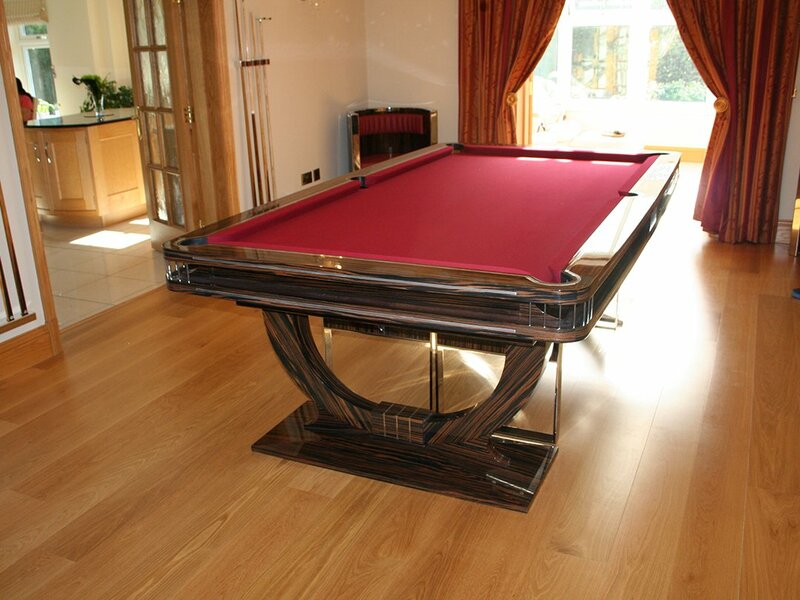 The main image shows a 9ft Snooker dining table made from solid hardwood, inlaid with curved, dipped and polished brass, hand-veneered with our ‘Pinstripe’ faux-macassar, and burnished to a high-gloss finish.Under the table you can see the fabulous benches we made to match the table, and in the corner you can just spot a matching tub-chair. 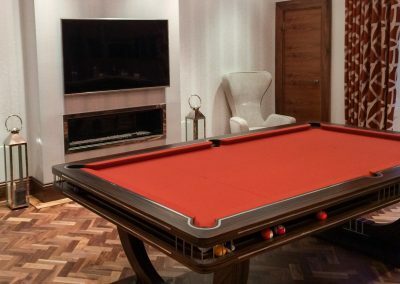 The other images show an 8ft Pool-diining table – also in Bentley Macassar with brushed steel detailing, and a Jacobean Oak and Snooker table with bronze metalwork. 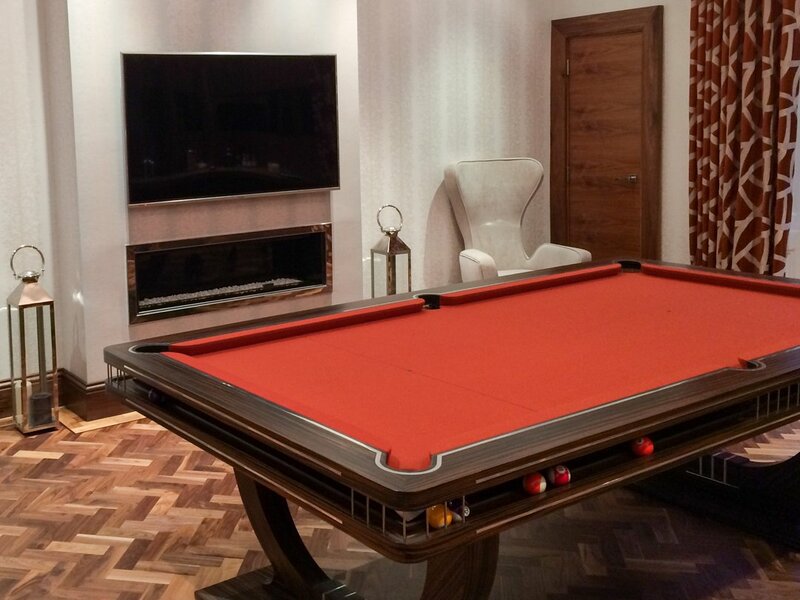 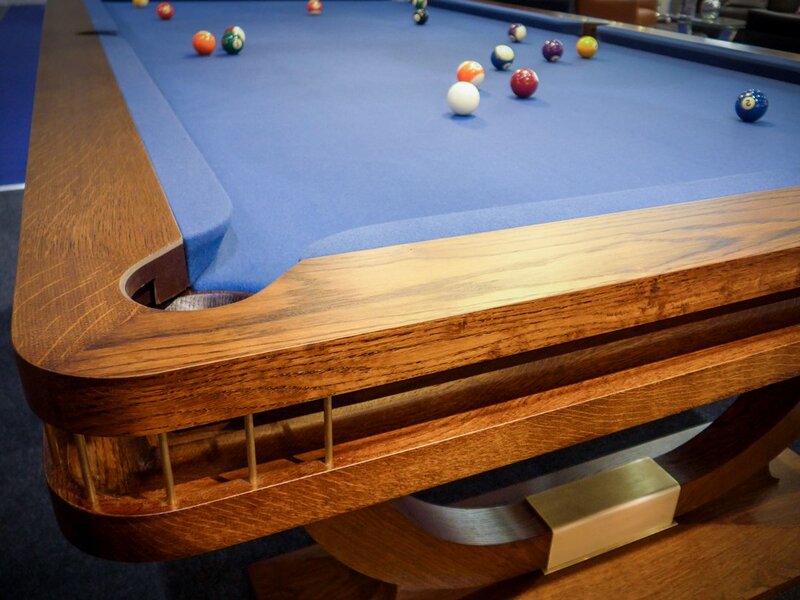 Our truly bespoke Pool and Snooker Dining tables can be made in any size, up to and including 12ft x 6ft Full-size snooker or Russian Pyramid size – seating up to 20 people. 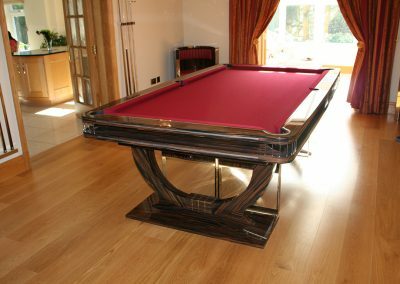 The Empire wind-up mechanism can be built-into many different table deisngs and our Ball-Runner feature also works well with many other leg designs and can be shaped, inlaid and detailed to suit your individual requirements… the choice of woods, metals, legs, style, finish, cloth colour, pocket leather…. 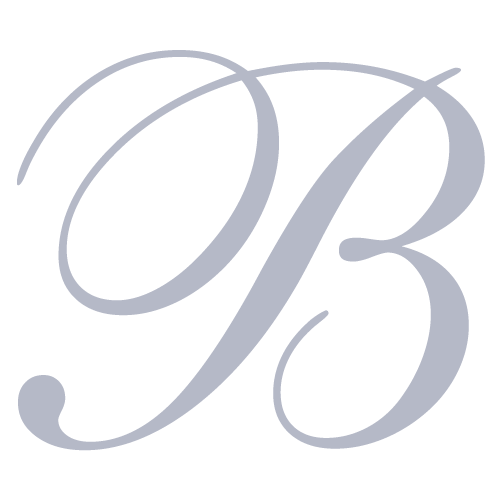 is yours.